If you say or hear the word ‘Surface’, your mind immediately goes to the premium Windows PCs and Tablets from Microsoft. 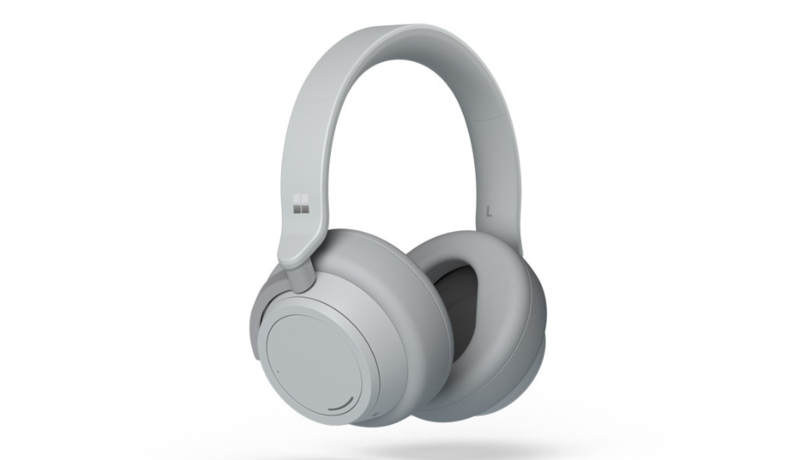 The line-up has been increasing in number gradually and after making the mark in the PC space, Microsoft is venturing off into the Audio space with their first ever Wireless Headphones, simply called ‘Surface Headphones’; a wireless headphones with Adjustable Active Noise Cancellation. 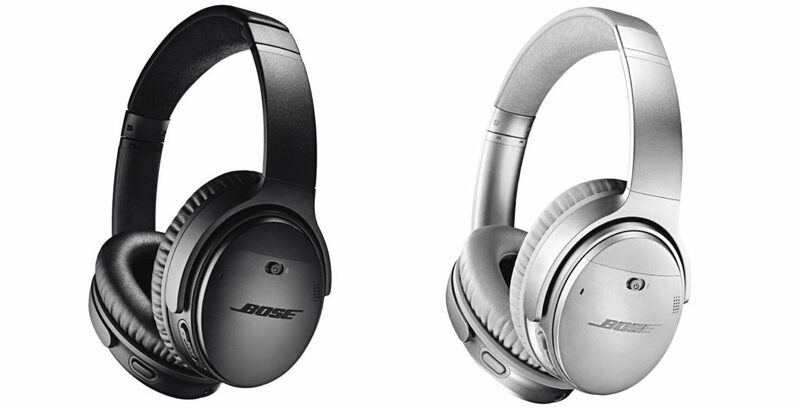 The headphone market is densely populated by some big names such as BOSE, B&O, Audio-Technica, Sony, Beats, JBL, Skull Candy and many more and they attract a massive mass of consumers every year. Lately the rage is all about the wireless audio solutions, if you notice, and simply because of the ease of use and convenience that the wireless technology brings to the table. From Apple EarPods to sleek Dolby ATMOS Soundbars, people spend money on wireless everything. Headphones are a little different though, they are more than just an audio accessory. They are as much for a professional in the studio mixing that new Jam or a simply a student in the bus coming home after school or an athlete ripping through his workout or simply a mom vacuuming the living room, it doesn’t matter who the consumer is or what they do, headphones are for everyone. Wired headphones are all the rage as most professionals prefer them for their crisp and compromised sound quality but lately the companies are stepping up and matching that same level of listening goodness to the wireless realm and the thing that makes them a must have is called ANC or Active Noise Cancellation which allows the listener with a push of a button to mute the outside noise completely and listen to what’s playing in their headphones. Now, I don’t know about you but I love that for so many reasons, especially in noisy environments like the airports, college campuses or simply to listen to the music or movies without cranking up the volume on the speakers and have a theater like feel. 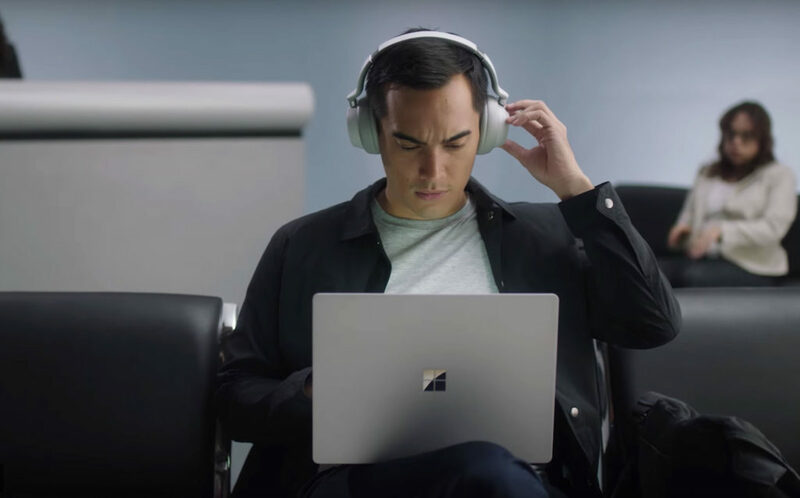 Microsoft Surface Headphones bring in 13 levels of ANC and said to be one of the best in the business. It comes with an integrated microphone system that syncs up with your digital voice assistant (Cortana, Google Assistant and Siri) and of course great for receiving or making phone calls. It is made out of lightweight and breathable materials to reduce stress and sweating. Either tap on the ear sensor or use voice controls to change the tracks which is an amazing feature especially if your hands are occupied. 15 hours of battery life that can be fully replenished in just 2 hours. 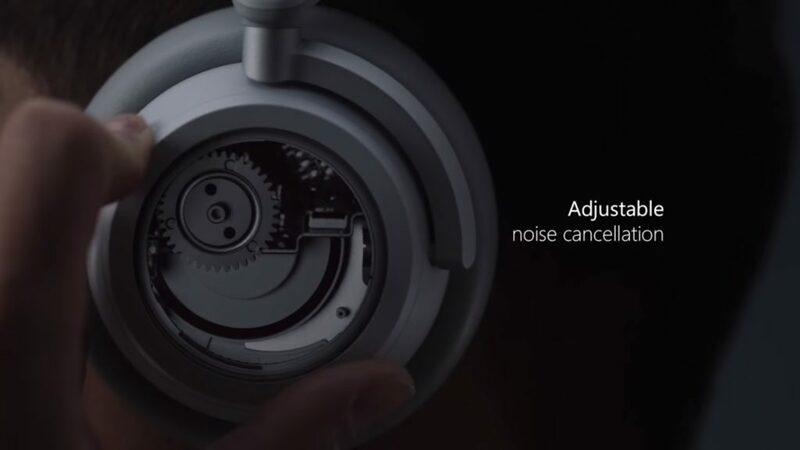 Has USB-C and 3.5 mm Headphone jack as well. Weighs 0.64 lbs and comes in a Light Grey color. 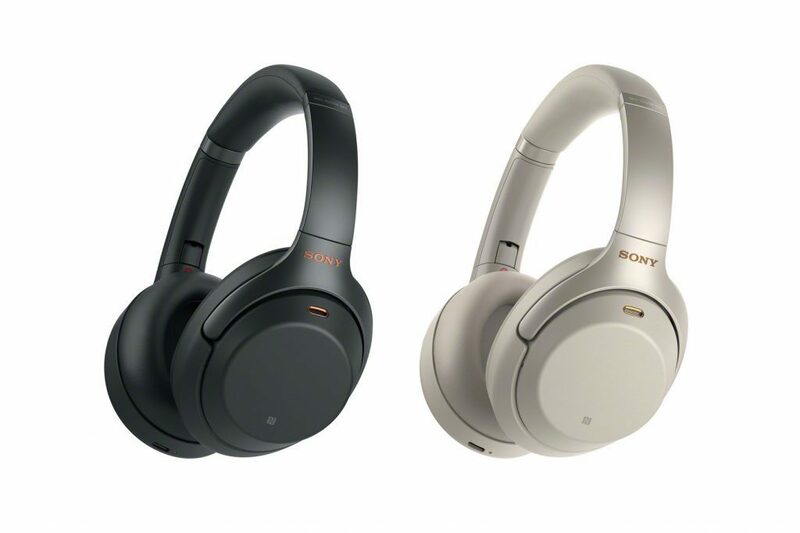 The current industry top dogs in the ANC Wireless Headphone game are Bose QC35 II and Sony WH-1000XM3, both with a hefty price tag of $350 and Surface Headphones cost the same. So now the burden is on the consumers that which one is right for them. The good news is that all three companies have stores all over the world and there you can go and have a listen to each of them and make your own mind. As of now, all the reviews for the new kid Surface, are simply top notch.